a half years until he finally got his hands on his obsession. weighing 40lb 8oz to take his 2 fish total over the magical 100lb barrier. 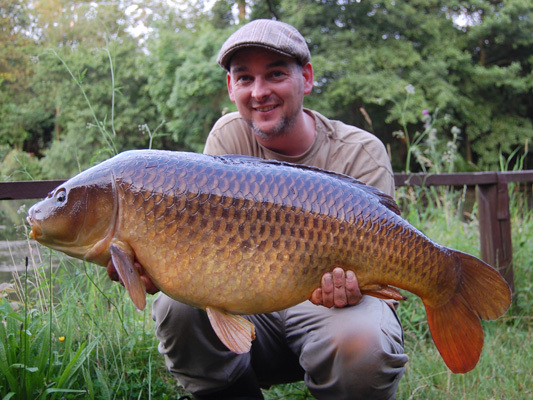 and added 5 other carp to 45lb 2oz along with a bonus catfish weighing 80lb+. 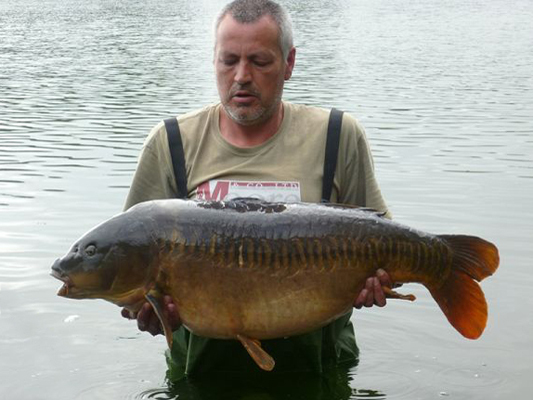 he set a new PB with the 'Birthmark Linear' weighing 40lb 4oz. 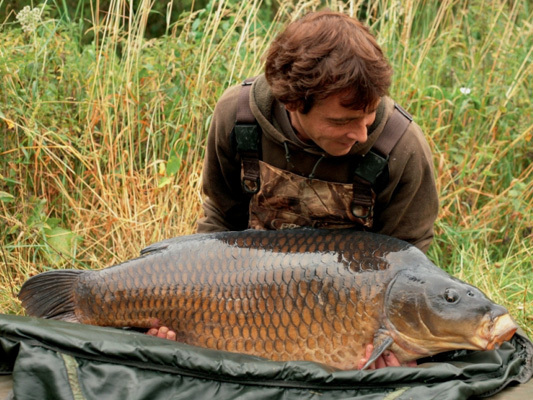 for the full session report coming shortly along with other carp related tales.